Basic Bible eludes us. Just 55% of all respondents knew the Golden Rule isn’t one of the Ten Commandments; 45% could name all four Gospels (Matthew, Mark, Luke and John). The challenge of course is that you only love what you know and know what you love. To divorce doctrine from our beliefs is to either re-create God in our image or to love without depth. I could walk down this path but I prefer to prove the article wrong. 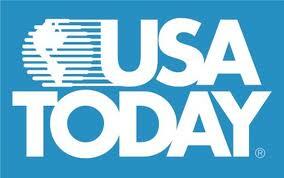 The following is a short survey that I would like to use to give USA Today some feedback. The World’s Toughest Catholic Quiz was first posted by This Rock authored by Karl Keating. I have more faith in Catholics. I would love to have you take the quiz and then I will report back the results to prove that Catholics know more than they think. Good luck! For the mystic, all dogmas and doctrines are sources of endless meditation and delight for the intellect and will. The rest of us though, as we strive to grow in holiness, sometimes struggle to understand how the dogmas and doctrines fit into daily life or even our imagination. That is why our Lord gave us poets. Poets have a way of bridging the gap between the imagination and mystery, if only for a brief moment. It is an art that seems to have fallen by the way side. John Paul II spoke of the ministry of the poet in his 1999 letter, To Artists. He addressed their mission to capture the ineffable in order to better understand the mysteries of who we are as a persons and most importantly, who the Living God is. He cautioned them that their gift is not meant to romanticize the heart into flights of fancy or compose sonnets that manipulate the emotions and heart to think only of itself and a solitary world separated from God. They are the evangelists and prophets who, through their enigmatic speech, set the heart free to experience the delights of heaven while embracing the sufferings on earth. Because really, all our minds desire is to understand while all our heart wants to do is love – even in obscurity. The true poet does not bind the reader to this earth but launches them into the heavens contemplating the attributes and love of God by revealing His goodness in creation and His grace in the plights and flights of the human spirit. My sister sent me this poem which is a poet’s look at the Annunciation. Rupert Brooke wrote, Mary and Gabriel in 1912 and gave us some great gems of beauty hidden within to consider in our daily meditations. Hope you enjoy it. Mahalo nui loa Nani! She gave submission; fearful, meek, and glad…. Now that the air is a little chiller, we know that autumn is just around the corner. Nature itself is preparing for its Lenten retreat and so are all His creatures. It is at this time that a number of spider young-lings hatch from their eggs. After their exoskeleton hardens, the spiders find the highest point, release a strand of their silken web and let the wind carry them where it wills (You remember, like in Charlotte’s web). 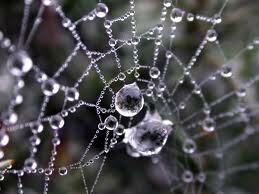 This silken thread of web is known colloquially as gossamer. Sometimes our legends are written by the poets whose explanations while implausible, are so beautiful we ignore the logic and just believe. Maybe today as you enjoy your autumn day you can take a moment to lay on the ground and stare up and name the shapes of the clouds. If you have forgotten how, just ask a toddler and they will re-teach you. Today, the Church celebrates the Triumph of the Cross. Through this precious wood, the Christ was strapped, nail, bled and die – thereby winning our redemption. Christians reverence and exalt the cross because it is the proximate cause of our salvation. To adore the cross is to adore the Christ who hung upon it. 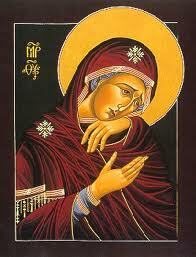 It is the real symbol of the entire Paschal mystery: the passion, death and resurrection of the Son of God. History demonstrates that public veneration of the Cross has taken place since the fourth century. 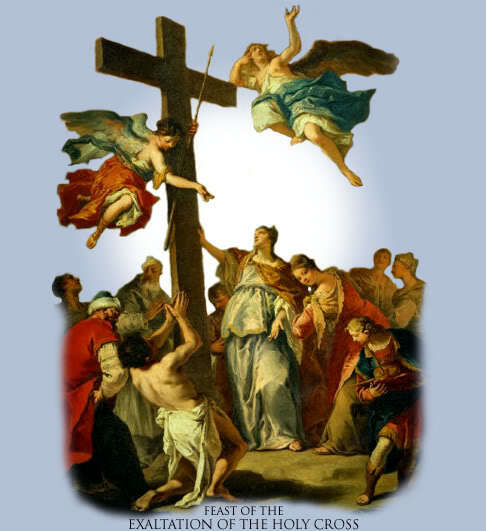 Tradition also shares with us that on September 14, 326, St. Helen, the mother of Constantine, miraculously discovered the cross. The crucifix is the universal symbol of Christianity and our “calling card”. While an image of disgrace to the Romans and all those in their empire, it became the symbol of freedom, salvation and the desire of every Christian’s heart. It is the most basic and beloved symbol that identifies a Christian. In a society that spurns and avoids (even reminders of it) suffering at any cost, the crucifix is the singular reminder that suffering, when united with Christ, is a holy act. With Christ it also becomes a human act. The crucifix is our sign of victory. It is the primary instrument through which we have access to heaven and meritorious grace. What do you notice first when you walk into your living space? Steve Camp in the 1980s wrote a song entitled, What would the Devil Say. The song asks if there is enough evidence to convict us for knowing the Christ. As Catholics, we understand that our physical actions and choices are a direct expression of our heart…and yes, we can lie with our actions as well – Scripture calls that being double-minded (see James 1:8). All things being equal, in our own homes and lives, is there enough evidence that the world would know we are a Christian if we were mute? Is there enough evidence not only in our lives but our possessions? Will hell acquit us or convict us of a Capital Crime…I pray all of us would receive a death sentence from hell! 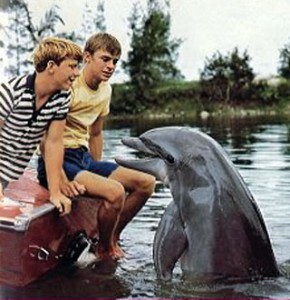 animal of Chief Warden Porter Ricks and his two young sons Sandy and Bud at the fictional Coral Key Park and Marine Preserve in southern Florida. This dolphin of unusual intelligence befriended the young boy/girl (will include Alba since she is Catholic) and ends up saving the family numerous times – even placing itself in harms way. As you know, lore about dolphins has always been part of the mariner’s experience. Dolphins have been credited saving numerous sailors including Captain Jack Sparrow in Pirates of the Caribbean. To the Greeks, the god Apollo came among humankind in the form of a dolphin. Aristotle writes of how he marveled at the swiftness and elegance of dolphins in the water. 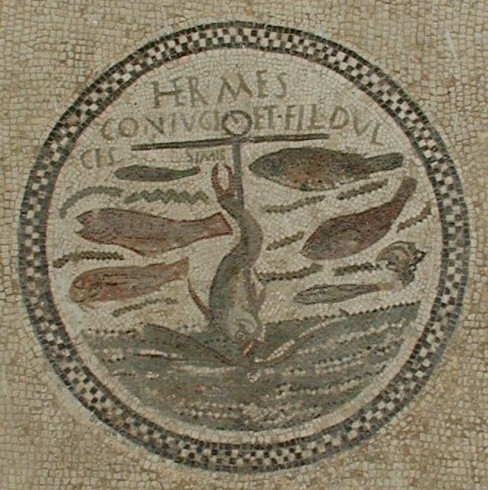 Many pagans believed that dolphins carried the souls of the dead to the afterlife. Even in Jewish antiquity, Philo recounts a legend of the young boy who befriends a dolphin and when the young boy died unexpectedly, the dolphin dies soon after of grief. For many of the early Christian sailors, the dolphin was a symbol for Jesus. The attributes of the dolphins in folklore were attributed, and rightly so, to Jesus as the rescuer, savior of sailors, guide and of course, friend. As you might imagine, those who lived by the sea related much more to dolphins than sheep. And so, the dolphin naturally became a popular Christian image. 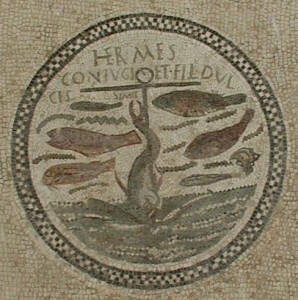 Dolphins are even found in early Church architecture. 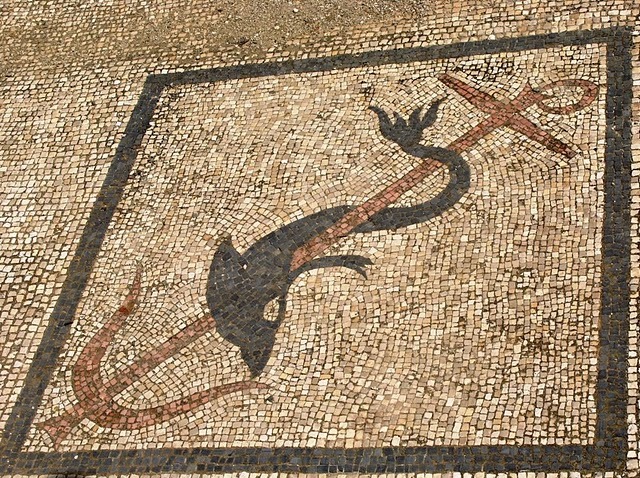 Constantine had altar candle sticks commissioned for St. Peter’s and even a church candelabra with more than twenty dolphins surrounding the center. It should not come as a surprise that dolphins are an image of the Christ. Dolphins in so many ways are a material typology or shadow of the many attributes of our Lord. Besides, He is the Lord of the Seas. 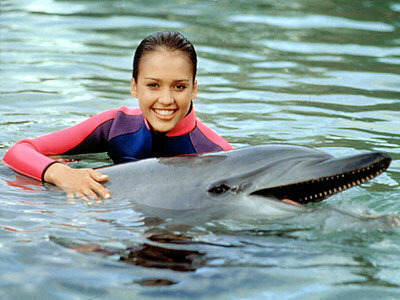 I knew there was a reason I loved Flipper so much. A final note. 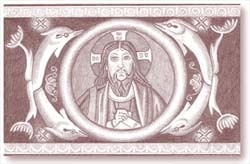 Like sheep in Christian art, dolphins can also be a symbol for the Christian. Regardless, next time that you are at the beach, take a look out to sea. Maybe our Lord will send a reminder that He is out there too and wants us to remember that the sea and all its contents are His. According to Hawaiian folklore, the crater in Māui’s famous volcano was the home to the grandmother of the demigod Māui. According to the legend, Māui’s grandmother helped him capture the sun by lassoing it and forcing it to slow its journey across the sky in order to lengthen the day. Thus the name of the volcano, Haleakalā or “House of the Rising Sun” (that is how my grandmother translated the hawai’ian word regardless of what Wikipedia says). My family and I head back home today and, that is okay. There is sadness because we enjoy the beach so much. My father’s eyes were a little dimmer because the beach is his connection with home that he left so long ago for the family he started- and Hawai’i is not right around the corner. My kids would be happy if we brought the sand and some of the waves back home with us. My in-laws experienced the beach for the first time in their lives and fell in love with it. My wife is sad since the end of vacation signals that school is about to begin. And me, the beach reminds me of my childhood and a time in my life when I had so few worries or concerns. The last act on the beach before we left was Nicholas carving in the sand, “N was here.” In a matter of moments, the water came up and washed the “N” away. For some reason he had a look of surprise. I looked and said, “Um, Nicholas, that is what happens to sand on a beach.” His reply, “True. I at least God can’t be washed away from here.” I was awe-struck. What a great parting gift for me to think about. Time moves on but the Lord does not change (Hebrews 13:8). And for that I am thankful. It is a good lesson to remind us that we cannot slow or control life (synonym for time) . Time only ceases when we are absent from the body but present before the Lord (not a synonym for life for our live continues outside of time). That being said, I can tell you where you can have one foot in time and one in eternity – the Divine Liturgy. 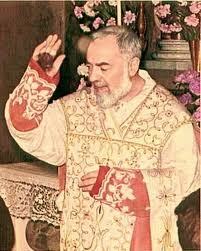 Here all time stops when the the priest elevates the host and the Son of God in all His glory shines upon us. The media keeps dreaming up what eternity might look like, why don’t they just come to Mass? Oh well. 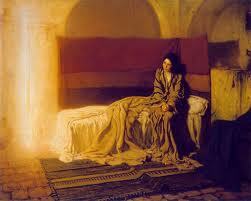 Take some time at Mass tomorrow and experience eternity…even for a minute (I love paradoxes). May the Sun of Justice (Mal 4:1) rise each day to shine upon you His grace and bring you into His ever-lasting glory. This simple mendicant’s work forever influenced the Church. He also gave us through his own witness a template for gestures during prayer. 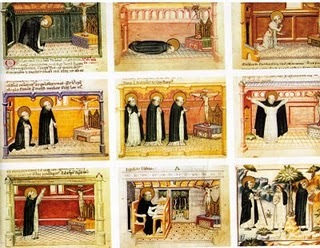 The following are called The 9 Ways of Prayer by St. Dominic. For more of an explanation go to St. Dominic Biographical Documents. To all in the Dominican family, thank you for your outstanding serve to the Trinity, our Lady and the Church. Many blessings! MAN: “Our Father who art in heaven. MAN: Please, do not interrupt me. I’m praying! GOD: But, you called me… ! 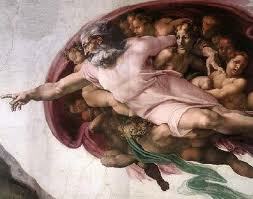 GOD: Ah!!! It is still you? GOD: You called me! You said: “Our Father who art in heaven”. Here I am. MAN: I did not want to call. I’m praying. I say our Father every day, I feel good doing it. It is like fulfilling a duty. And I do not feel well if I don’t do it. 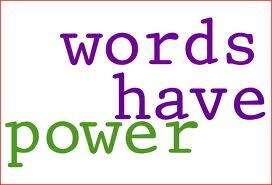 GOD: But how can you say Our Father, without thinking that all are your brothers and sisters? How can you say “Who art in heaven” if you do not know that heaven is peace, that heaven is love for all? MAN: It is that really! I did not think about it. GOD: But… Continue your prayer. GOD: Wait a little! What do you mean by that? MAN: I mean… I mean… what it means; how could I know it? It is simply a part of the prayer! GOD: “Hallowed” means recognizing me as your true father, who gives life to any being, who is worthy of respect, saint, sacred…, and as a consequence you put all your confidence in me and not in the insurance companies of the world. MAN: Now, I understand. But I had never thought of the meaning of the word hallowed. GOD: Are you talking seriously? MAN: Of course! Why not? GOD: And what do you do to make this happen? MAN: How, what I do? Nothing! It is part of the prayer… But, by the way, it would be good that you influence and control a little bit what is occurring on the earth too. GOD: Do I have a little influence or control over your life? MAN: Eh well… I go to the church! GOD: That is not what I’m asking! And the way in which you treats your human brothers, the way in which you spend your money forgetting about the one in need beside you, the time that you grant to TV shows, the material you watch on Internet, and the little time you devote to me? MAN: Please, stop your criticisms! GOD: It is good that you recognize it. Now we can work together, you and me. We will have victories and defeats. I like your new attitude. GOD: And the brother (or the sister) that you despise or look down upon? GOD: But… what do you mean then when you pray? You called me and I am here. I desire that you come out of this prayer different, transformed. I want you to be honest. But it is not unhealthy and not good to carry the weight of this anger in your heart. Do you understand? MAN: You can? And how? MAN: But, Lord! I am unable! God: Then, do not say this prayer…! MAN: You’re right! I simply wanted to avenge myself, but what I really want it is peace! Then, it is okay as I forgive everyone, but “O God, come to my assistance”! Show me the way to follow. GOD: What you are asking for is marvelous! I am happy and excited for you… How do you feel now? GOD: Excellent! I will do it, but do not put yourself in situations where you can be tempted. MAN: And now, What do you mean by that? MAN: I do not understand ! GOD: Of course you understand! You did that several times with me. You take wrong short-cuts and then you shout out for Help. MAN: I am ashamed, Lord, forgive me! GOD: Obviously, I forgive you! I always forgive the one who is ready to forgive too. But when you call me again, remember our conversation, think of the words that you say to me! Finish your prayer now. GOD: And what means. “Amen”? MAN: I do not know. It is the end of the prayer. GOD: I love all my children, and I prefer those who want to get out of their mistakes, who want to be released from sin. Be blessed! Remain in my peace! MAN: Thank you, Lord! I am happy of knowing that you are my FRIEND!